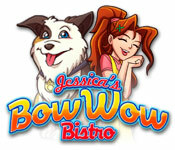 Jessica's BowWow Bistro is rated 4.4 out of 5 by 11. Rated 5 out of 5 by jskalb from Lively, fast paced, but easy Very creative unique concept. Great colors. Lots of variety. Rated 5 out of 5 by sparklefish777 from Dogs Plus Bakery Equals FUN! 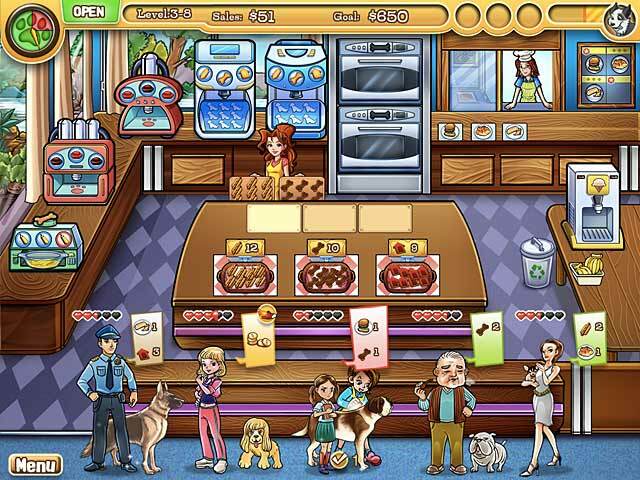 If you like dogs and enjoy baked goods, you will enjoy this game. I love the graphics and the storyline is cute. Basically, you run a pet themed bakery. You make different shaped dog treats and then top them with different frostings and decorations. There are round, square, and house shaped treats. And cute decorations like sprinkles or cherries. You get help from a relative so that you can serve chicken and burgers. Your puppies can be groomed while they wait in line. 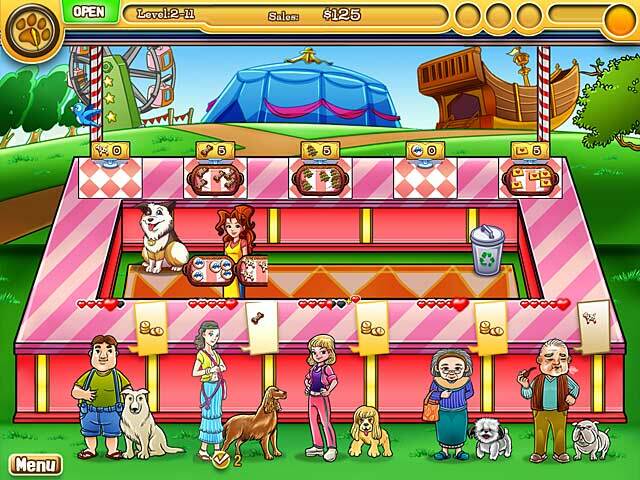 And most fun of all, your dog can help you serve the customers when things get too hectic! Awesome game! Looking forward to trying out the other game in the series! Rated 5 out of 5 by adinastar from Fun & Cute I was so happy they came out with a sequel to Jessica's cupcake cafe. I enjoyed this as much as the first one! Thank you! Rated 5 out of 5 by Jem_Jerrica_Guy from Jazzy Jessica Has a Jazzy soundtrack, looks, recipes, and a variety of factors as levels increase. I like how there's something new every level. One thing I mentioned to Gamers Digital is that I wish there were colored people besides white/caucasian. They took my comment into consideration on Facebook. Rated 5 out of 5 by Therka from Great game Kids loved it and played it non stop, then begged to play it more. Rated 5 out of 5 by tailswhiskers from Jessica's BowWowBistro When I saw the game and decided to try the hr demo, I wondered what the game was about. Then I got into and it was fun. What you do is make and serve dog treats to the people who come in. 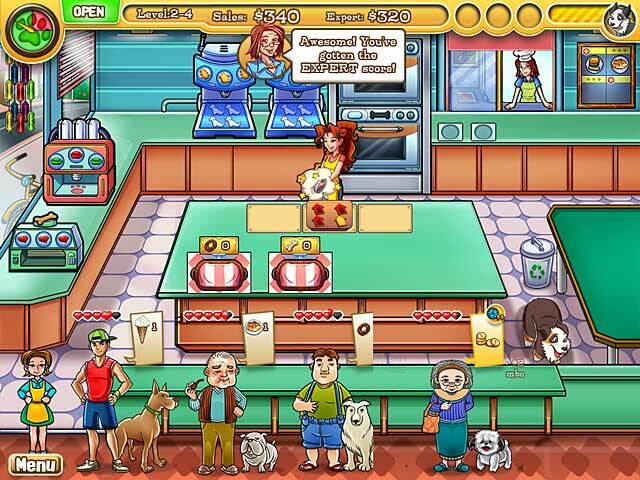 In later levels, you can serve hamburgers, and chicken to the people and dog treats to the people. I found it to be fun. I would recommend it.